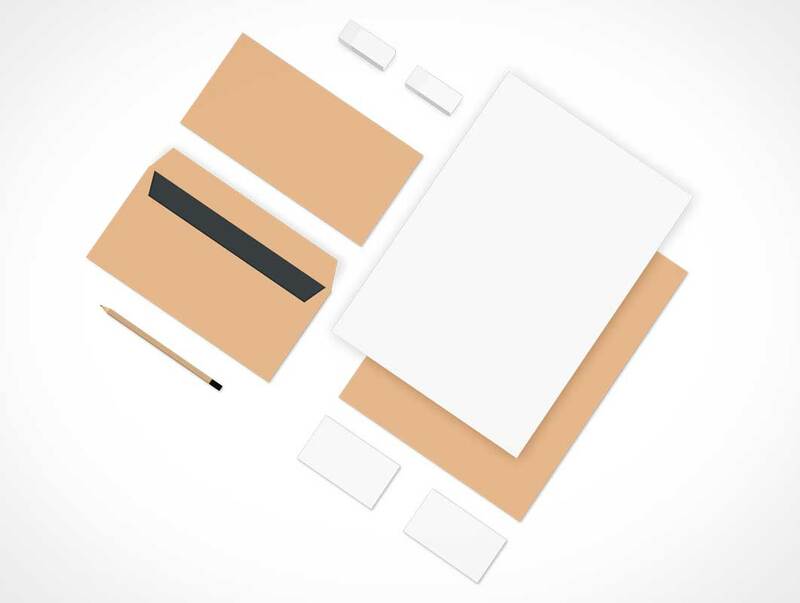 Download this free stationery scene top down view. Multiple other angle for this PSD mockup are also provided if a straight on view is not your desired result. 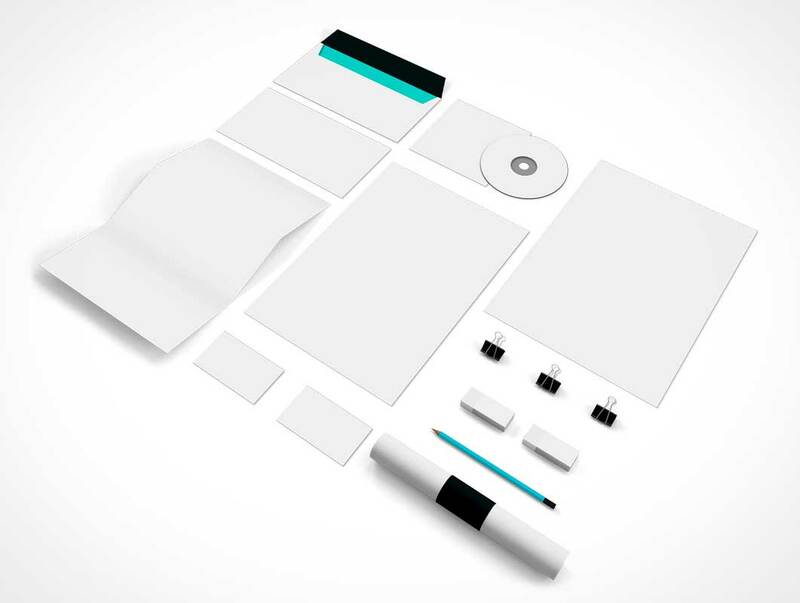 This PSD template includes multiple Smart Objects for placing your artwork neatly onto each stationery item in this photorealistic layout. 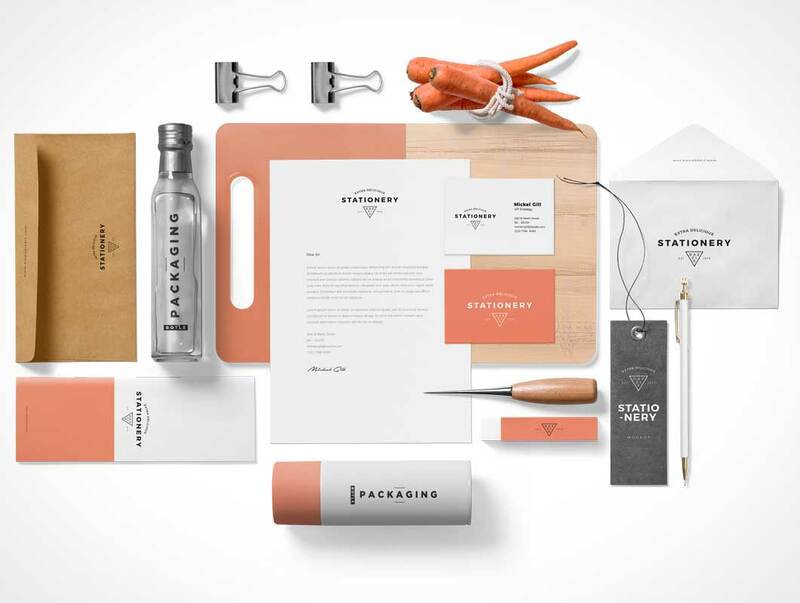 This branding PSD mockup is great to showcase your stationery design. 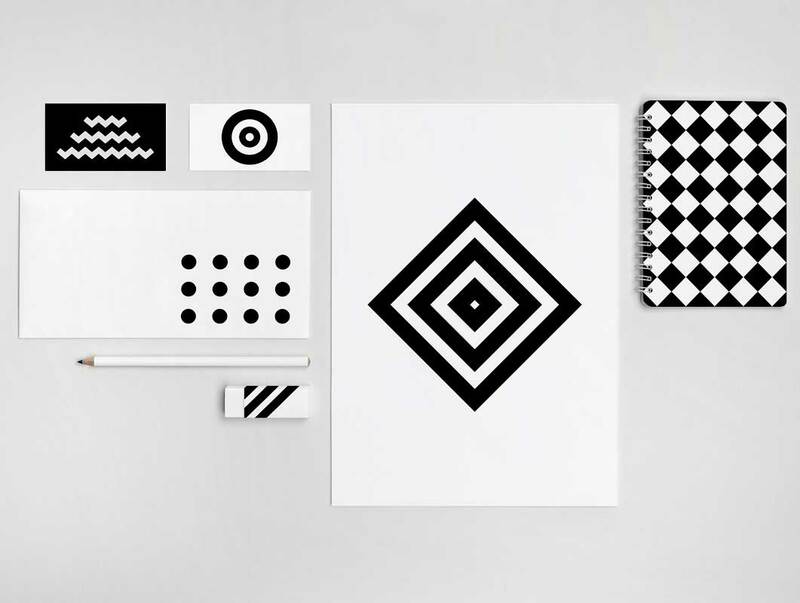 All elements are separated with smart layers for easy replacing your design. 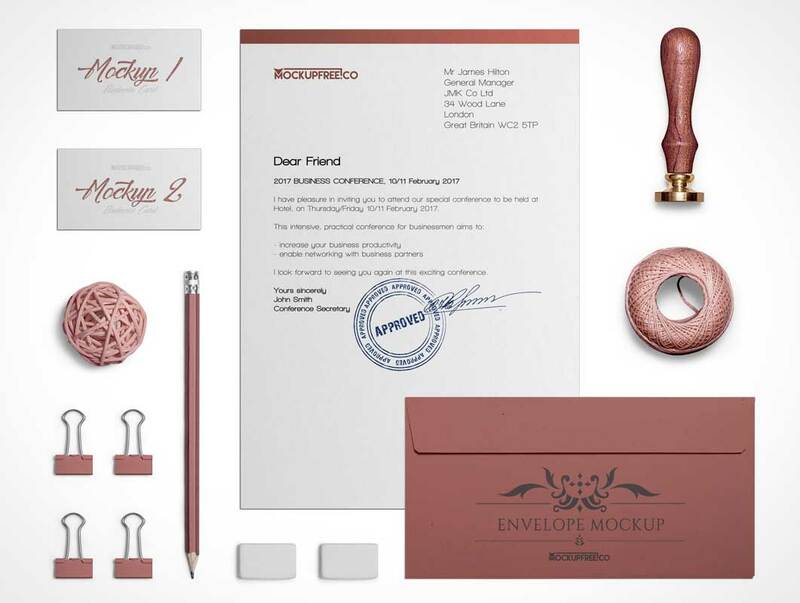 This branding psd mockup include: memorandum, enveope, letter, business card.